Little-known Zanu-PF music hype man Admire Sanyanga Sibanda has released Mushana PaJecha in what looks like a bid to discredit dancehall singer Winky D's lyrical state of the nation address titled Kasong KeJecha. The reactionary track in the mould of the partisan "ED-PFee" anthem is bent on endorsing President Emmerson Mnangagwa's leadership at a time the socio-economic realities for the ordinary citizen are deteriorating as clearly put by Ninja President (Winky D) in 178 seconds. Whether Sibanda (aka Chief Shumba), who is interestingly Mnangagwa's nephew, was funded to produce the song is not clear, but his intention in penning a rushed song to try and blot the trending single does not only leave a lot to be desired. According to Winky D's manager Jonathan Banda, anything beyond the social interpretation of the song is a figment of the listener's imagination. "I was actually surprised that there is a political interpretation to the song. 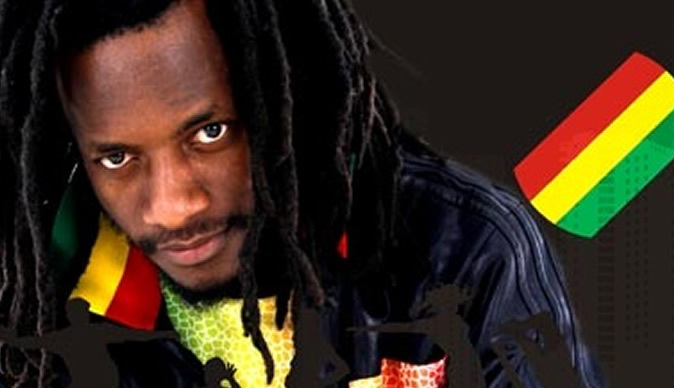 I thought it would be taken as a social message because Winky D is apolitical," Banda told The Standard Style yesterday. Banda, who insists that "not everything is political" and that "it is unfortunate that we have been aligned to a certain side", advised irked stakeholders to engage their camp if there was need to clarify the meaning of the song. "If this song is political, then anything else can be given a political meaning. For some unkown musician to then make a political response to it while others contemplate not playing it on radio is worrisome and uncalled for," he said. The idea of politicising social commentary is retrogressive and an unfortunate suppression of creativity as well as freedom of expression. As much as Chief Shumba's songs could enjoy airplay at the expense of Winky D, it could work against his growth in the industry as it is not really music but propaganda jingles. Perhaps he could take a leaf from Tambaoga, youthful music groups like Born Free Crew and Mbare Chimurenga Choir who have sunk into oblivion, a testimony that political alignment compromises one's relevance off politics. There is no doubt that politics and entertainment are intertwined in Zimbabwe dating back to the colonial era as musicians played an integral part in the liberation war. But, in recent times musicians' direct engagement with today's politics has proven to have negative repercussions. With divergent political views the reality has changed and choosing a particular political inclination may cause a backlash from some sections of the music fraternity. Clearly, the ED-PFee song-maker is still stuck in election mode hangover which he needs to snap out of and face reality if he is to make any sober socio-political music. In the song he says it is up to the listener to go to a side of the rulers or the ruled, but it is him who needs to choose whether to produce real music or settle for political praise and worship which will guarantee his permanent stay in the pit of the industry's unknowns.